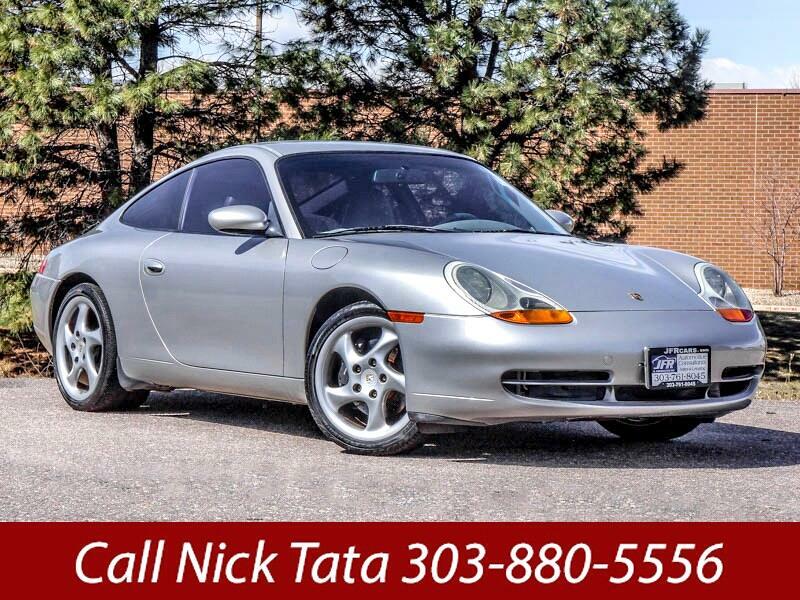 Used 1999 Porsche 911 Carrera Coupe for Sale in Littleton CO 80120 JFR & Associates, Inc.
Now you have an opportunity to own and drive one of the best overall performing sports cars in the market. This 911 Carrera Coupe offers everything you would expect in a vehicle of this high-caliber from speed, handling, performance, and style. Nothing is left out. This car had been well cared for and maintained. If you are in the market for the ultimate sports car, then be sure and add this car to your "must see" list of cars to consider. This Porsche 911 Carrera Coupe is one of the best sports cars in the world. It doesn't get any better than this. Now is the time to live your dream and satisfy your taste for the good life. Contact us today and schedule an appointment to take this sports car for a test drive and find out for yourself how beautiful this car drives and handles. This 911 Carrera is the car that you won't want to stop driving. It doesn't matter if it's long drives or short drives; she is a dream to drive.